In 1961, young schoolteacher Robin Fletcher is delighted to accompany her widowed aunt on a cruise from Barcelona to Venice - a voyage whose ports of call include some of the great cities of Europe. On her first night at sea, Robin is awakened by the moonlight flooding through her stateroom window. When she goes up on deck to admire the view, she witnesses one of her fellow passengers throwing something off the stern of the ship. Thus begins a series of strange incidents, each more bewildering, and more terrifying, than the last: a quarrel overheard among the ruins of Pompeii, the only word of which Robin can understand is her own name; an attempted assault in Istanbul's exotic Grand Bazaar; and, finally, a terrifying confrontation amidst the romantic and mysterious canals of Venice. And through it all there is Markos, the ship's enigmatic photographer, who seems to know more than he's telling. By the time the trip is over, will the voyage have changed Robin's life - or ended it? First off, kudos to the author. This book took place on a cruise ship and involved several international destinations. Not once did the author make her intricate descriptions of the sights and sounds boring. She pulled the elements together so well that I sought out her pinterest page to see more. The story was incredibly well narrated as well!! It centers around Robin and her Aunt Maggie and it's told from Robin's POV. There is mirth and humor and snark and jealousy and fun and funny and, of course, danger and the narrator delivered on them all. This is another one of those rare listens where the author and the narrator are in perfect sync. Greatstory. Great listen. Great mystery. Great travel log. Enjoyable, but not as much as her other books. I enjoyed this book and the visuals she provided but not nearly as much as I have enjoyed her other books. I am glad it is provided in the Romance Package, otherwise I would have skipped this one. I am a child of the 1960s, so a story set in that era is nostalgic and fun for me. And a book set on a ship adds even more fun and mystery to the setting. 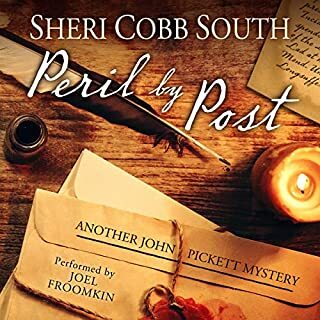 Author I will most definitely look for more books by both Sheri Cobb South did a great job blending humor, charm and suspense to keep the pace and momentum of the story at a nice, steady pace to there were no lulls. Narrator Liisa Ivary did an admirable job making the voiced different and unique. She's a terrific narrator. Overall, this was a fun book with great twists, and I hope I get to read/listen to more from Sheri in the future. 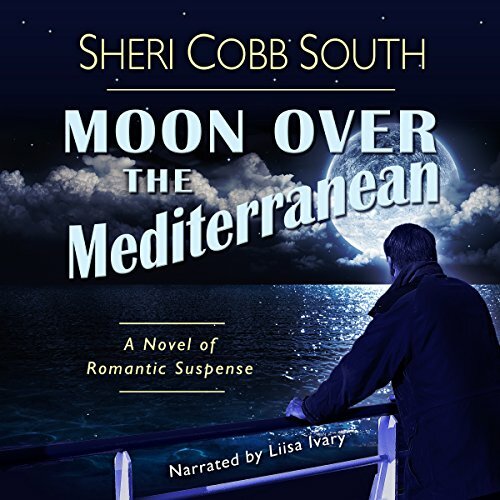 Moon Over the Mediterranean by Sheri Cobb South was a good read. Robin has decided to accompany her aunt on a cruise from Barcelona to Venice. While at sea, Robin was awakened at Midnight by the moonlight. She doesn't expect to see someone throw something off the ship. This starts many strange incidents. I enjoyed reading this book. 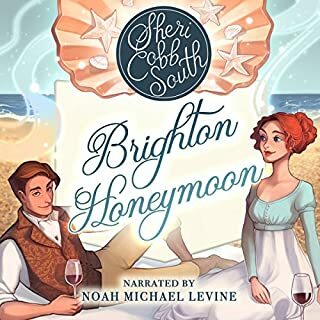 Would you consider the audio edition of Moon over the Mediterranean to be better than the print version? Only did the audiobook which I prefer because I can do other things at the same time. What other book might you compare Moon over the Mediterranean to and why? What does Liisa Ivary bring to the story that you wouldn’t experience if you just read the book? Knew her characters well & brought them to life. When Robin saw Devose throwing the item overboard in the wee hours of the morning it created suspense throughout the book. 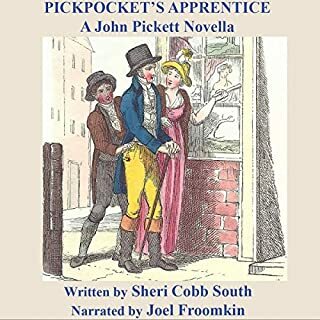 Both the author and narrator were new to me and are very talented, Typically I listen to books that are current time period or historical (this one was set around 1960). I found the premise to be intriguing and very much enjoyed it. This book is full of suspense, romance and finding oneself plus lots of wonderful locations. I loved the imagery in this book! My review is not a synopsis of the book, but rather my opinion of it. I was given this free review copy audiobook at my request and have voluntarily left this review. 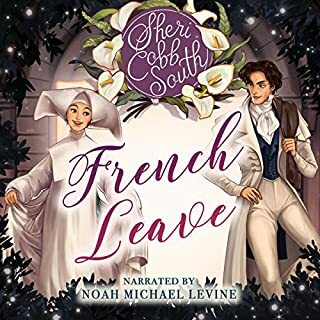 I will most definitely look for more books by both Sheri Cobb South and Liisa Ivary. An interesting and entertaining listen. A young woman accompanies her aunt an a cruise to Europe. 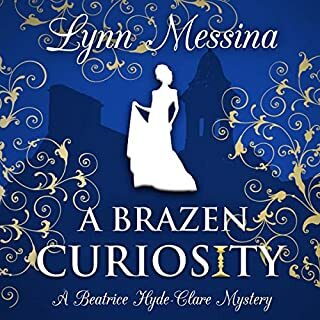 She not only sees new places; she becomes involved in international mystery with plenty of suspense, historical sites, and romance. All through the journey she learns about herself as well. The narration was well done. The characters were well portrayed. Liisa Ivary helped me feel I was right there as the story unfolded. What did you like most about Moon over the Mediterranean? I enjoyed the mystery, the characters and the old, vintage feel to the story. I loved the fact that it took place on a cruise in the Mediterranean. It made me feel like I was on holidays with the characters. Reading a story set in the 60's is something new for me but I would definitely read more if the author were to continue with this theme. What about Liisa Ivary’s performance did you like? I thought the narrator did a great job with each of the characters. It was easy to listen and get lost in the story. This was a book I would listen to again.